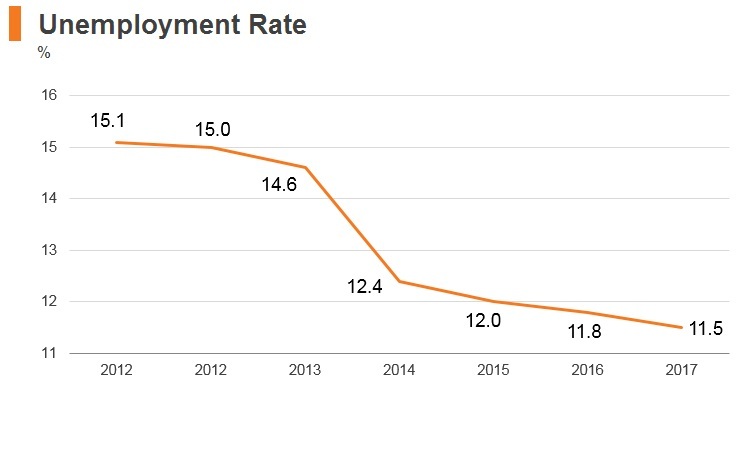 Over the past decade, Georgia’s economy has grown at an average annual rate of 5%. 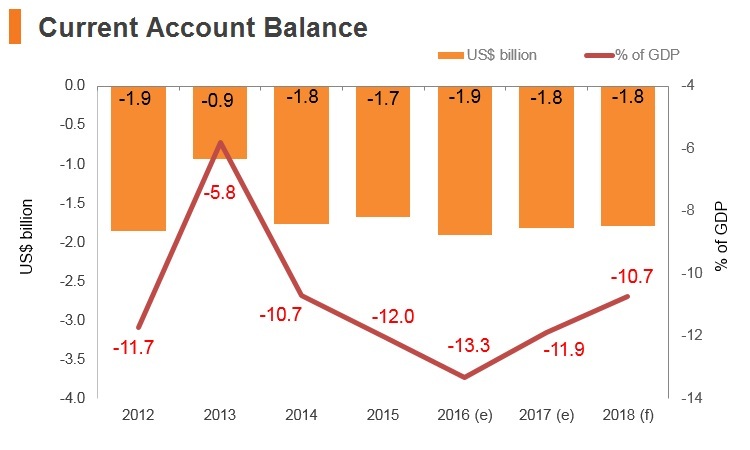 This was in spite of numerous shocks, including the global financial crisis of 2007-08 and the regional geopolitical and economic headwinds in recent years. Poverty declined from 35% in 2006 to 17.1% in 2016. 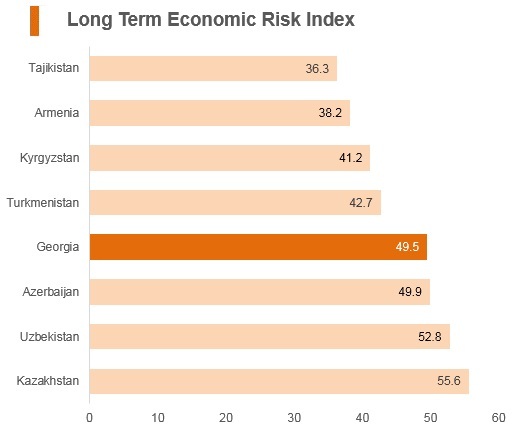 Inequality, which was higher in Georgia than in most other former Soviet states, also declined during the same period, indicating that prosperity was increasingly shared. 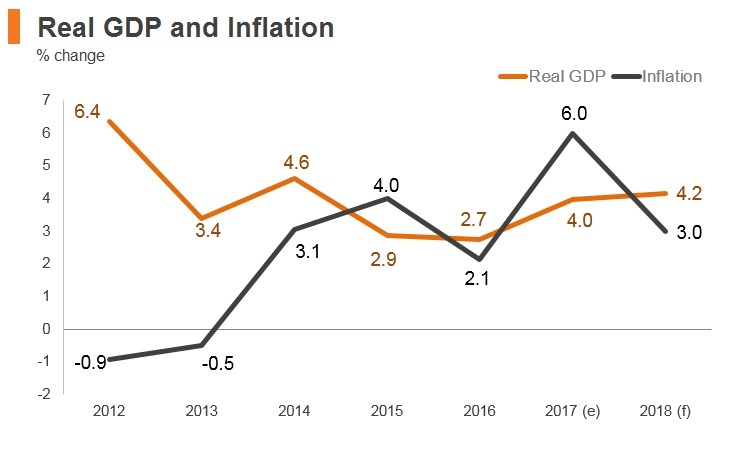 However, although incomes have increased, the economy has not managed to expand the supply of jobs and reduce unemployment. 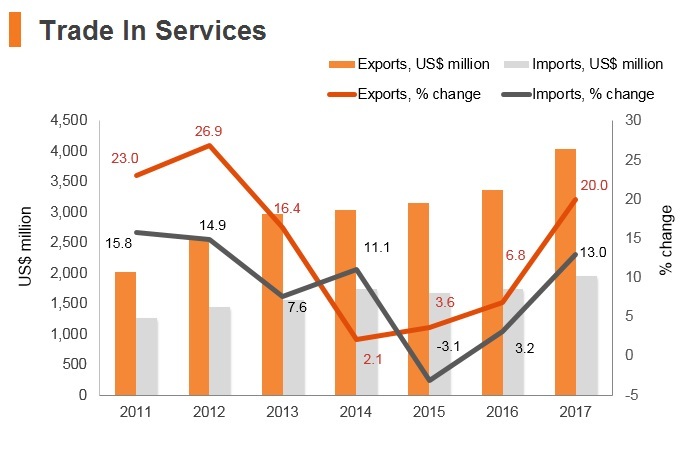 As a strategically located logistics and transhipment corridor to the Caucasus and Central Asia, the Georgian logistics economy is a key bright-spot that is highly transit-oriented: around 60% of all types of overland international freight throughput are in transit. European Union (EU) and Georgia signed association agreement. Former President Mikheil Saakashvili is appointed governor of Ukraine's Odessa Region. Prime Minister Irakli Garibashvili resigned and is replaced with his foreign minister, Giorgi Kvirikashvili. Breakaway region of South Ossetia held presidential election and a referendum on changing its name to the State of Alania as part of a plan to join the Russian Federation. Georgia has been a member of WTO since June 14, 2000. 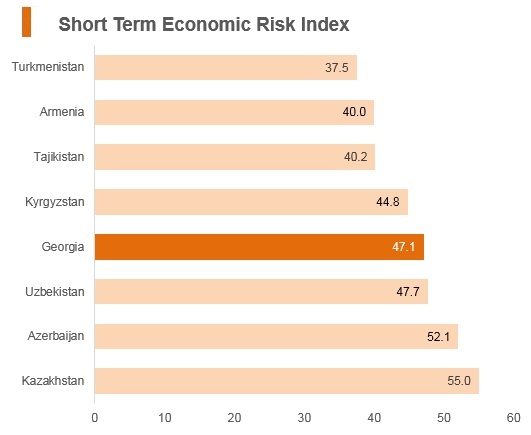 Georgia has enacted a range of economic reforms since achieving independence, which have seen Georgia conclude a wide range of free trade agreements (FTAs) with globally important players - such as the EU, Turkey and (most recently) China. Thanks to its liberal trade regime, Georgia has signed free trade agreements with many of its neighbours such as Ukraine, Belarus, Azerbaijan, Armenia, Russia, Moldova, Kazakhstan, Kyrgyzstan, Tajikistan, Uzbekistan, Turkmenistan and Turkey. In addition, it has concluded the Deep and Comprehensive Free Trade Agreement (DCFTA) with the EU. 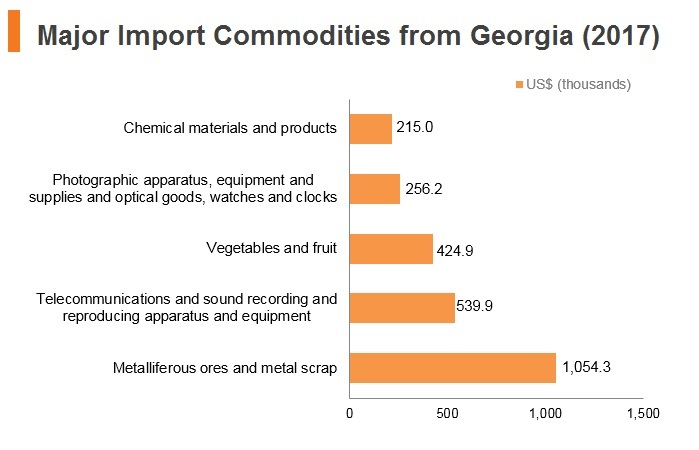 Georgia also enjoys lower tariffs on 3,400 goods exported to the US, Norway, Switzerland, Canada and Japan under the General Schemes of Preference (GSP). Georgia is not a member of any customs unions or single or common market areas (which usually provide for the free movement of the various factors of production). As a former Soviet state, the country was a member of the Commonwealth of Independent States (CIS). However, due to its frictional relationship with Russia, Georgia has not joined the CIS Free Trade Area nor the Russian-led Eurasian Economic Union (EAEU). Georgia withdrew its membership in 2008, however, the CIS bloc has traditionally been the primary trading region for Georgia, in large part because it is close geographically. Therefore, Georgia has separate free trade regimes with countries of Commonwealth of Independent States. The United States and Georgia established a High-Level Dialogue on Trade and Investment in 2012, a bilateral dialogue aimed toward identifying measures to increase bilateral trade and investment. 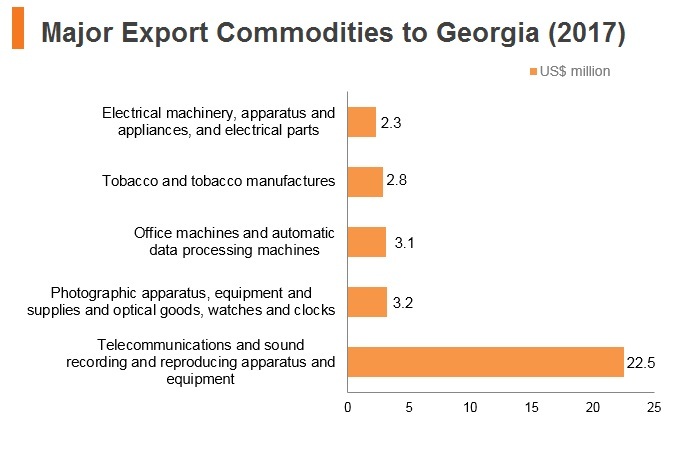 The United States and Georgia have shared a Bilateral Investment Treaty since 1997, and Georgia can export many of its products duty-free to the United States under the GSP programme. 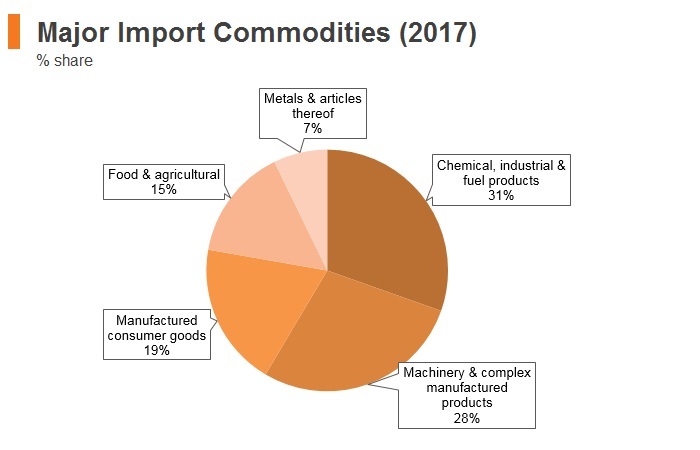 There are a series of import tariffs that are applied on some agricultural products, which affect all trade-partner countries, unless specifically excluded in a FTA. 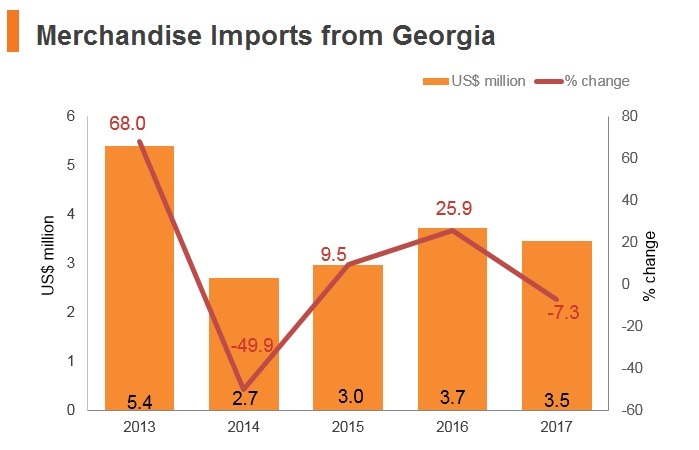 Georgia and China signed an FTA in May 2017 which became effective from January 2018, allowing around 94% of Georgia's products to enter China duty-free and Georgian services and commodities will enter a market with over 1.3 billion potential consumers. Georgia, with its strategic location at the crossroads between China and Europe, is becoming a promising trading partner for Hong Kong as the free trade agreement between the two will likely enter into force by 2019. 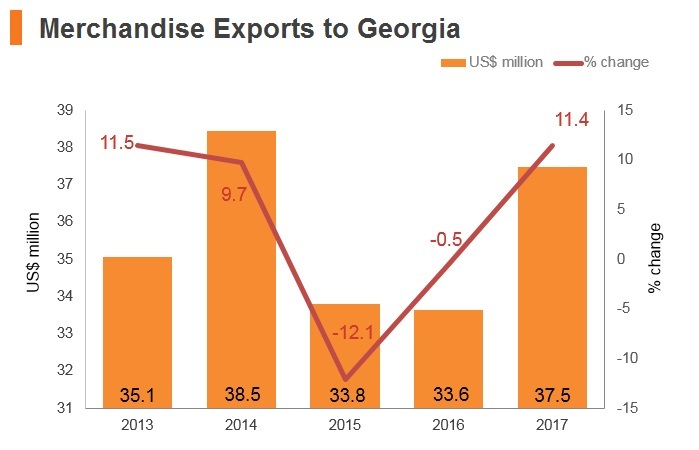 Thanks to its open and business-friendly environment, as well as a vision to transform into a regional logistic and industrial hub, Georgia offers Hong Kong businesses great promise for trade and investment. Georgia-EU: The EU and Georgia signed an Association Agreement on June 27, 2014 it has entered into force since July 1, 2016.The agreement introduces a preferential trade regime - the DCFTA. This regime increases market access between the EU and Georgia based on having better-matched regulations. The EU is the main trade partner of Georgia. Around 29% of its trade takes place with the EU. The DCFTA creates a closer economic integration of Georgia with the EU based on reforms in trade-related areas. It is based on the principles of the World Trade Organisation. It removes all import duties on goods and provides for broad mutual access to trade in services. It will allow EU and Georgian companies to set up a subsidiary or a branch office on a non-discriminatory basis and this allows the foreign company to benefit from the same treatment as domestic companies in the partner’s market. The DCFTA allows Georgian trade-related laws to generally match selected pieces of the EU legal framework. Georgia's adoption of EU approaches to policy-making will improve governance, strengthen the rule of law and provide more economic opportunities by expanding the EU market to Georgian goods and services. It will also attract foreign investment to Georgia. Georgia-Turkey FTA: This agreement came into effect in January 2008. 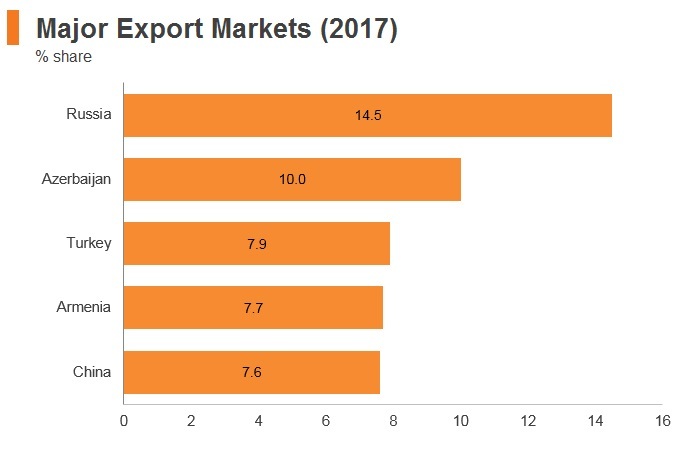 Turkey is one of Georgia's largest exporting and importing partners and Georgia and Turkey are taking actions to widen the existing free trade agreement between them and enable Georgian producers to increase export volume to Turkey. Georgia-EFTA: Additionally, on June 27, 2016 Georgia signed FTA with EFTA countries, giving Georgian products duty-free access to markets of Iceland, Liechtenstein, Norway and Switzerland. Switzerland, Norway, Iceland and Liechtenstein are all comparatively wealthy on a per-capita basis. Georgia-China FTA: As of January 1, 2018, the FTA concluded between Georgia and China came in to operation. It allows over 90% of Georgian products duty-free access to the Chinese market and will boost Georgia's profile as a new Silk Road transit hub for East-West trade. 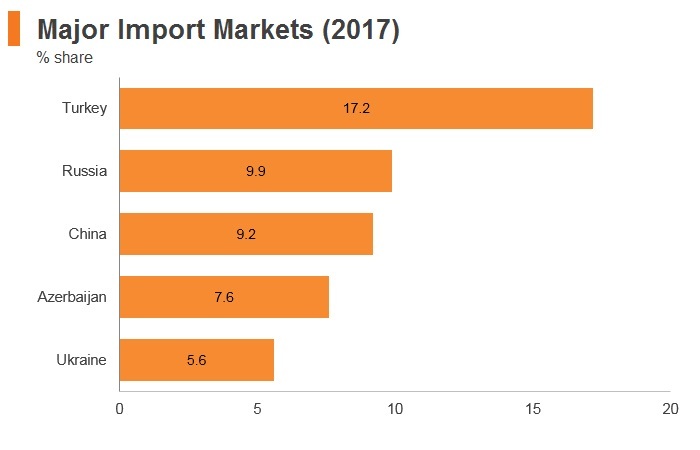 China is both one of Georgia's top five exporting and importing partners and, therefore, we expect its market dominance to increase further over the medium term now that this FTA is officially in operation. Georgia-Hong Kong FTA: A FTA between Georgia and Hong Kong was signed in June 2018. According to the negotiated agreement, Georgia will eliminate import tariffs on 96.6% of its tariff lines for Hong Kong products. 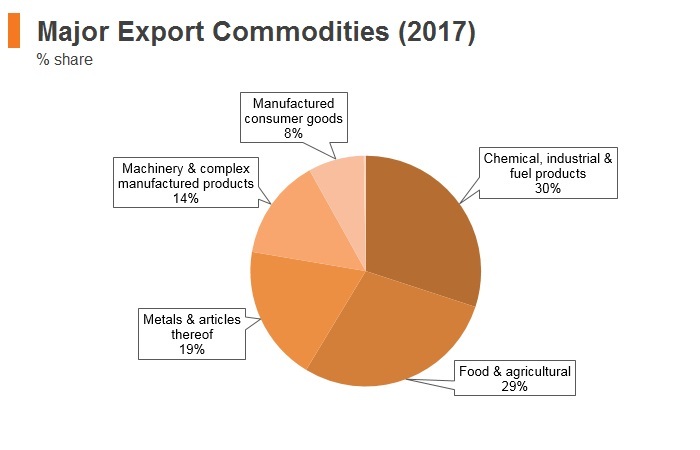 The FTA was negotiated in 2016 and has several standard components, namely the elimination or reduction of tariffs, the liberalisation of non-tariff barriers, flexibility regarding rules of origin to facilitate bilateral trade, customs facilitation procedures, liberalisation and promotion and protection of investment; liberalisation of trade in services, and a dispute settlement mechanism for the FTA. The agreement was drafted based on an FTA between Georgia and China, which was enacted from January 1, 2018. To encourage foreign investment in tourism, industry and agriculture, the Georgian government has currently two Free Tourism Zones (Anaklia and Kobuleti), two Free Industrial Zones in Poti (sea port) and Kutaisi (the second largest city) and two new projects managed by the Agriculture Projects Management Agency (APMA) to support agriculture development in Georgia. Under these schemes, the Government of Georgia offers interested investors unprecedented terms with respect to taxation and land use. 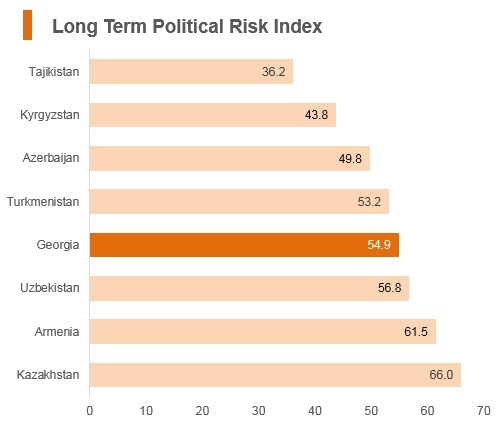 Georgia has bilateral agreements on investment promotion and mutual protection with 32 countries, including: the United States, Armenia, Austria, Azerbaijan, Belgium, Bulgaria, China, the Czech Republic, Estonia, Egypt, Finland, France, Germany, Greece, Iran, Israel, Italy, Kazakhstan, Kyrgyzstan, Kuwait, Latvia, Lithuania, Luxemburg, Moldova, the Netherlands, Romania, Sweden, Turkey, Turkmenistan, Uzbekistan, the United Kingdom, and Ukraine. Negotiations are under way with the governments of 24 countries: Bangladesh, Belarus, Bosnia and Herzegovina, Croatia, Cyprus, Denmark, Iceland, India, Indonesia, Jordan, Korea, Lebanon, Malta, Norway, the Philippines, Portugal, Saudi Arabia, Slovakia, Slovenia, Spain, Switzerland, Syria, Tajikistan, and Qatar. 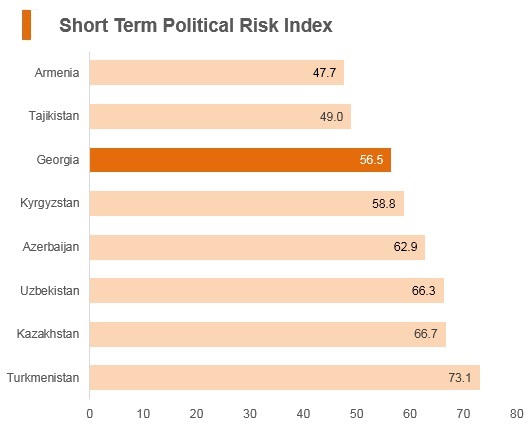 Additionally, in 2007, Georgia signed a Trade and Investment Framework Agreement (TIFA) with the United States. The Georgian government has opened most economic activities to foreign involvement. 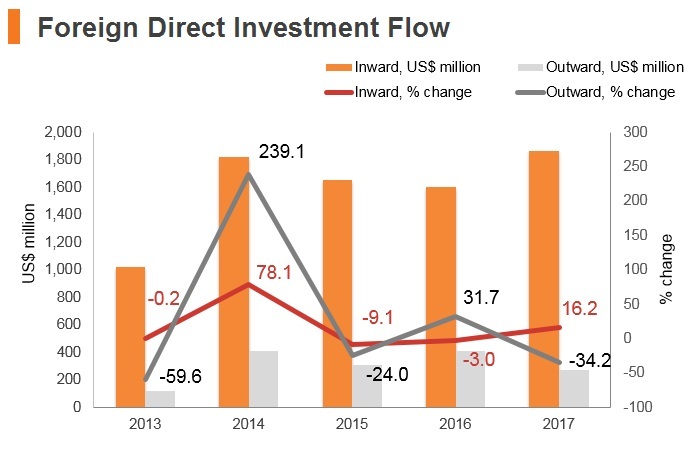 Successive governments have maintained a welcoming stance to foreign investors and a business-friendly policy programme, which is not likely to change given the country's commitment to an open and inclusive economy, as outlined in the national development plan, Georgia 2020. 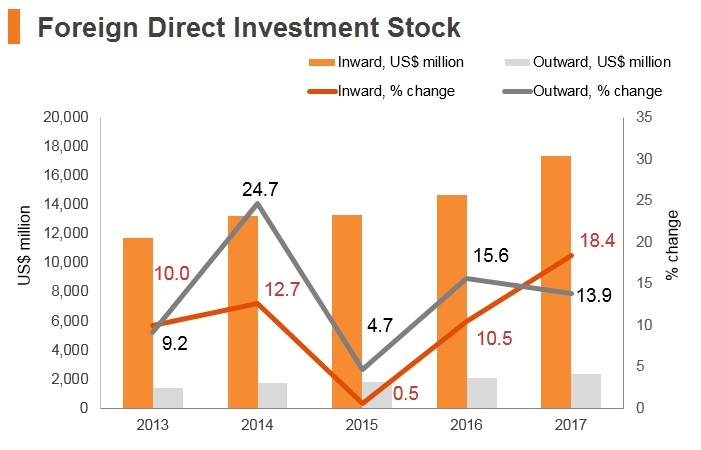 There is a clear promotion strategy in place for FDI and investors may benefit from incentives offered for businesses located in free industrial zones (FIZs). As a logistics and transhipment corridor to the Caucasus and Central Asia, the Georgian logistics economy is highly transit-oriented: around 60% of all types of overland international freight throughput are in transit. Aside from infrastructure upgrades at major seaports such as Batumi and Poti, several planned projects, as well as the construction of a deep-sea port at Anaklia to accommodate larger vessels, are poised to strengthen the country’s logistical importance. As part of the wider economic reforms, the Georgian government initiated a privatisation programme which has allowed the state to divest the majority of its economic assets. 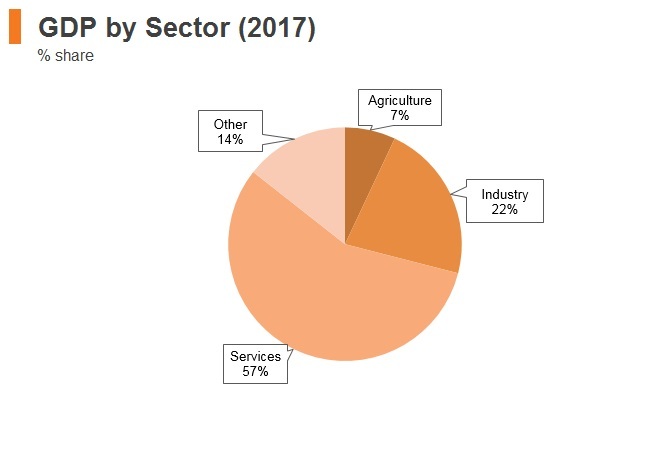 The only sectors in which the state is required to maintain a controlling interest are air, shipping and rail traffic control, defence, and nuclear energy. Most of the large state-owned entities have now been privatised, and although the government retains a presence in oil and gas, electricity and railways, only its role in the latter (through Georgian Railways) remains of any significance. There are currently several restrictions regarding foreign ownership of agricultural land in Georgia, but foreigners can own non-agricultural land in Georgia without restriction. In June 2017, the Georgian parliament announced a temporary ban on agricultural land sales to foreigners. A ban on foreign ownership of land was later enshrined in the Georgian constitution in September 2017. The new laws stipulates that foreign nationals and legal entities owned by foreign nationals (such as banks), cannot own agricultural land in Georgia unless certain very special circumstances permit. These include: if a foreign national inherits agricultural land from a Georgian citizen; co-owns the land with a Georgian spouse or member of a Georgian household; or becomes a permanent Georgian resident. While this ban does not apply to sales which were entered into before the amended laws, foreigners who own agricultural land are supposed to sell it within six months of this law becoming operational or it may be confiscated by the Georgian government. Georgia currently has four Free Industrial Zones (FIZs) which are operated by private businesses. These are: the Poti FIZ; the Kutaisi FIZ #1; the Kutaisi FIZ #2; and the Tbilisi FIZ. 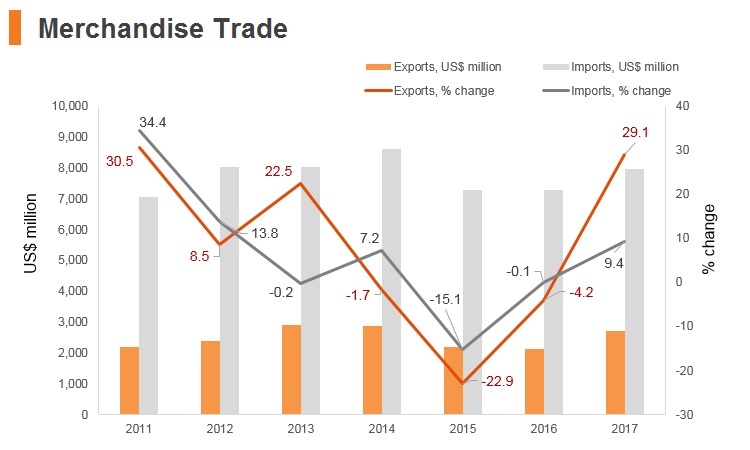 If a company registered within a FIZ produces goods for export purposes within one of the FIZs, they are exempt from all taxation except personal income tax (which is paid from employees' salaries). Furthermore, if a company registered within a FIZ imports goods made within a FIZ to other regions of Georgia, it only pays Personal Income Tax, VAT and 4% of revenue from national sales. In 2016, the Georgian government announced that it would adopt measures which aim to align the tax regime with 'the Estonian Model' of taxation. 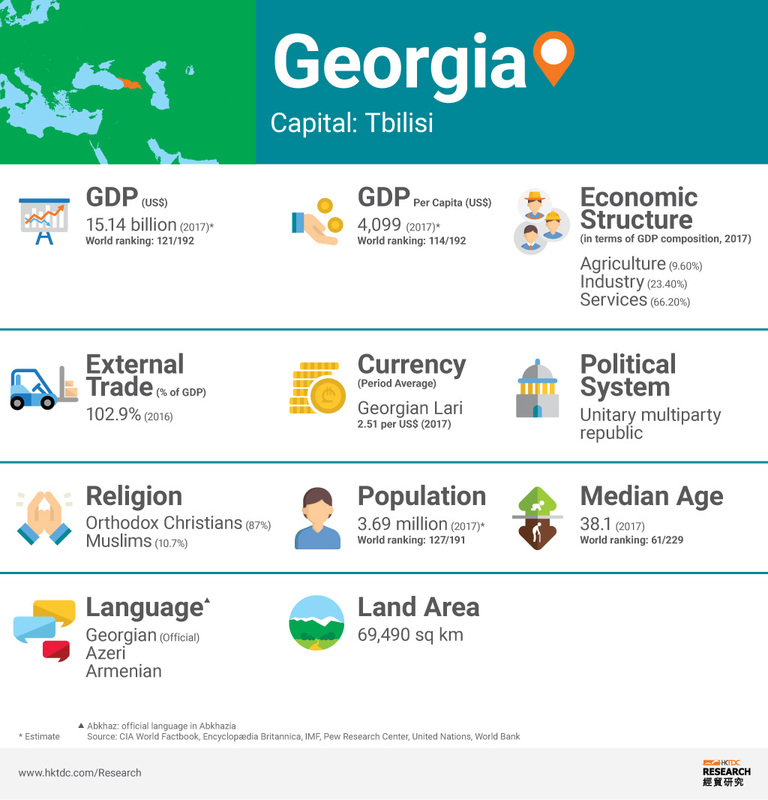 This model allows for all businesses, except 'profit sharing' ventures, to be exempt from taxation and will, therefore, decrease the taxation burden for companies in Georgia. This came into effect from January 1, 2017, and effectively means that all businesses (except commercial banks, credit unions, insurance companies, microfinance organisations, and pawn shops) will be effected by this new corporate tax regime from January 1, 2019. Companies are to be only taxed on their distributed profits (eg in the form of dividends to shareholders) and not on their retained earnings. This is not necessarily meant to reduce the tax burden for corporate entities, but rather to defer payment and make the calculation of corporate tax easier. Businesses will now pay a 15% flat corporate tax rate on transactions such as profit distribution, costs incurred not related to economic activity, free of charge distributions and over limit representative expenses. Georgia introduced an online payment platform in 2012 and a more simplistic Tax Code in 2016. Resident Company: Corporate Tax Rates 15% flat corporate tax rate on distributed profits (from January 1, 2017) while undistributed profits are exempt from corporate income tax. This tax amendment is being phased in at different times for certain sectors. Land Tax Agricultural land tax varies according to the quality of land and administration unit. The minimum tax rate per hectare of agricultural land ranges from GEL 5 to GEL 100. The minimum tax rate on Non-agricultural land is GEL 0.24 per square metre. Despite Georgia adopting a more stringent visa regime in 2014, it remains a fairly quick and low-cost process to obtain a foreign work visa in Georgia. Prior to 2014, those wanting to work in Georgia could enter and do so on a tourist visa. This has now been changed, and anybody who wants to work in Georgia must apply for a long-term visa and eventually a resident's permit. The long-term visa is valid for 180 days. Resident permits are estimated at taking around 30 days to be issued. Various countries and groups enjoy visa-free access to Georgia, and are usually permitted to stay (but not work) in the country for up to 360 days. Citizens of countries within the EU, the CIS, the NATO, the Schengen area, the GCC, the US and a wide range of others can enter Georgia visa-free. Hong Kong residents need a visa to travel to Georgia. They can apply for an "e-Visa". An e-Visa is an easy way to get permit of entry into and travel within the territory of Georgia for the purpose of short stay. To obtain an e-Visa, one needs to complete the online application form and pay with their credit/debit card instead of applying through Georgian Embassy. If and when approved, the visa is then sent through email, at which point the applicant will have to print it out and bring it along when they travel to Georgia.